But here I am in a New York hotel and in front of me is Jonsi, or as his mum called him, Jon Thor Birgisson. Hey, if I’d known you were coming Jon I would have dipped into the basket to get to know you better. You see, the object of my professional affection this day is Scarlett Johansson but the interview isn’t scheduled until later so I joined the roundtable interviews for We Bought A Zoo, starring Ms Johansson and the ever-affable Matt Damon. “This is weird,” Jonsi says, accurately, of the film junket process which marches film stars and movie makers into hotel suites, one after another, to be grilled by journalists, often-times about the most inane things. I was somewhat straightjacketed by my lack of preparation for Jonsi, but fortunately there were a bunch of us in the room so I wasn’t the only one asking stupid questions. Even more fortuitous was the 36 year-old was, well, kind of intriguing. Clearly not versed in the dark arts of film business Q&As, he seemed honest, direct and occasionally self-effacing. Asked whether soundtracks were now an important part of his music he bluntly answered “no”. Just as Sigur Ros’s music had lingered in some scarred and tattered part of my brain for years, Jonsi’s quirkiness made a lasting impression. Days after seeing the film — the soundtrack is a thing of gentle beauty — and talking to Jonsi, I found myself hunting down his music and other work. Of course, if I was cutting edge I would have taken that journey a decade ago, but my weary old aesthetic and I are happy to admit we’ve belatedly fallen under the spell of the ethereal charm of Sigur Ros. These Icelandic folks are on to something special. Sometimes dark but rarely brooding, Sigur Ros have an empyrean quality that isn’t tarnished by nebulous floral bits and grating hand-down-own-pants moments. 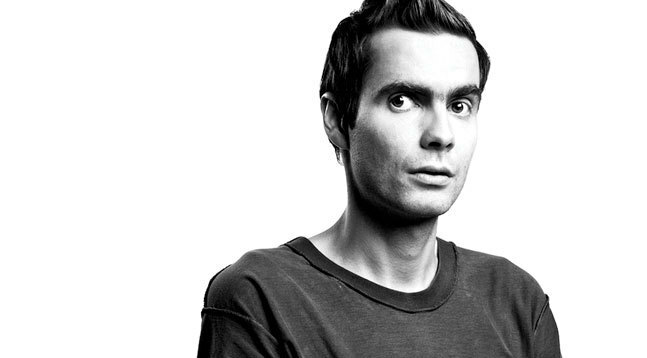 The music, like Jonsi’s voice, soars and swells without melodrama clumsily imposing itself. Jonsi’s voice is an imposing instrument. Perched high throughout most pieces, he has a lovely, smooth falsetto but as crucially, his transition to full voice is seamless, unaffected. It’s a sound that is utterly beguiling and unmistakable cinematic. I was totally mesmerized by their gorgeous film Heima (directed by Dean DeBois) that documents the band’s 2006 tour of Iceland. No wonder Hollywood heavyweight Crowe, a Rolling Stone writer before he launched his moviemaking career, describes it as “one of my favorite movies” and the reason he was prepared to “beg Jonzi to do the score” to We Bought A Zoo. There are even visual tips of the hat in We Bought A Zoo to Heima — the ‘pet-name’ Crowe gave to his movie. “We’re definitely going to sue,” Jonsi jokes. Coming from Iceland to California “for a few weeks” to work on the movie, Jonsi says he was concerned he’d get “stuck in film music … strings and things” but was relieved Crowe just wanted him to be his slightly weird self. “It’s so easy to work with Cameron,” says Jonsi, who neither reads nor writes musical notation but plays multiple instruments. “I’m lucky to start with this. While Jonsi laughs off a permanent move to California his film scoring reputation is on the rise: the We Bought A Zoo soundtrack has been shortlisted for an Oscar and Jonsi according to The Playlist has agreed to work with Crowe on an upcoming comedy. Meanwhile Sigur Ros is poised to pull Jonsi’s focus back to the touring musician’s life. 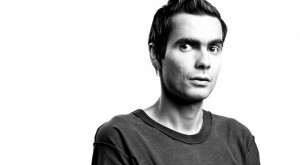 Despite announcing he had gone on ‘indefinite leave’ from the band about two years ago, Jonsi never really left, just got a bit more space to carve out a few solo projects as well as touring and recording with his life partner Alex Somers. “We try and give each other a lot of privacy and be patient with each other,” he says of Sigur Ros, his band “of 18 years”. Sigur Ros have a new album looming, “they’re mixing it now”, Jonsi says, conceding it could be a little “dark”. Put my name at the top of the pre-sale list, and I promise next time Jonsi, I’ll be ready for you. This entry was posted in Music and tagged Bjork, Cameron Crowe, Heima, Iceland, Jonsi, Matt Damon, Scarlett Johansson, Sigur Ros, We Bought a Zoo by Greg Truman. Bookmark the permalink. Thank you for reminding me of that awe inspiring Sigur Ros track – Hoppipolla-My new I pad now has it’s first Blog site and a theme tune installed .Looking forward to more of your wonderful writing and insights on this impressive site.